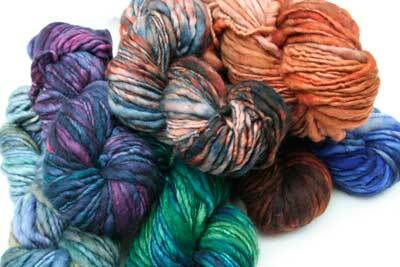 Malabrigo's Aquarella is a wonderful, bulky thick and thin hand dyed yarn in special colors available only in this bulky yarn. The yarn is really unique, and the color blends vary from hank to hank - we visually match every order. Malabrigo recommends that you alternate skeins with this yarn to prevent problems with matching.